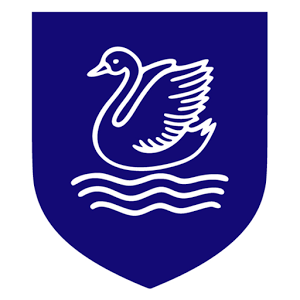 The staff of all schools in the North Runnymede Learning Partnership (NRLP) are committed, in partnership with the parents/carers, students, governors and the Local Authority, to building a school which serves the community and of which the community is proud. Thorpe Lea has worked closely together with our partner schools in the North Runnymede Learning Partnership to bring ensure a consistent approach to our attendance policies. Regular attendance is key to achieving the five outcomes of Every Child Matters: staying healthy, enjoying and achieving, keeping safe, contributing to the community, and social and economic well-being. Research clearly demonstrates the link between regular attendance and educational progress and attainment. We are committed to encouraging and supporting parents in ensuring their children achieve maximum possible attendance; should any problems arise that prevent this, we aim to identify early and act on promptly. Thorpe Lea Primary School expects that pupils will attend 100% of the time, unless absence is authorised by the Headteacher (or delegated person in the school). In cases where a pupil’s attendance drops below 95% or a pattern of absence begins to develop, the school will initiate the following stages. Be advised that Thorpe Lea will attempt to support and work effectively alongside the parents at all stages to ensure an improvement in attendance. Stage 1 – A standard, formal letter will be sent by Thorpe Lea Primary School to the parents / carers of a pupil where attendance has dropped below 95%. The letter will outline the school’s expectation that there is an immediate improvement in attendance whilst providing an offer of support to any parent / carer who may require it. A three week period of close monitoring will take place from the day of the letter. Stage 2 – Where no improvement is forthcoming at the end of the three week monitoring period, a second formal letter will be sent by Thorpe Lea Primary School to the parents / carers. This letter will register our continued concerns and inform the parents / carers that no authorised absence will be considered without medical evidence being provided. With immediate improvement expected, another three week monitoring period will begin. Stage 3 – When there remains no improvement in attendance, the school will send a third and final formal letter informing the prents / carers that a meeting at the school is required to discuss the continual poor attendance and to agree an action plan. Parents / carers will be asked to contact the office and arrange a meeting with a nominated member of the staff within two weeks of receipt of the letter. Failure to do so will result in the school moving immediately to stage 5. Stage 4 – A formal meeting will take place at Thorpe Lea between appropriate representatives of the school and parents / carers of the pupil. At this meeting, an action plan will be agreed and a further offer of support and help will be made. Upon an action plan being agreed, a final three week monitoring period will begin. Stage 5 – Following this final three week monitoring period, if attendance has not adequately improved the school will make an immediate referral to the Educational Welfare Officer (EWO) requesting their intervention.